Purchase a lapbook kit that is ready to print, assemble, and fill with research. 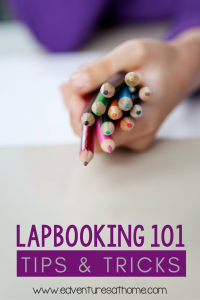 Create a lapbook to accompany your own unit of study. Whichever route you choose to take, there are several things to keep in mind when choosing materials. Lapbooks work best when they are more than just a cut and paste busy-work activity – they need to be designed with authentic learning in mind. Cross-curricular materials. Choosing to take an interdisciplinary approach will help students develop a more holistic view of any topic. For instance, when choosing a literature lapbook, look for lapbooks that tie in (at the very least) science and social studies. Likewise, science lapbooks should tie in math and geography, and social studies lapbooks should tie in literature and science. Real-life applications. Relating new facts to everyday life will make them more memorable. What does this look like in practice? You might look for activities that include writing letters to characters from stories, or comparing life today to a different era. If you’re creating a science-based lapbook, find ways to include day-to-day applications of different concepts. Appropriate amounts of research and writing. This may seem like common sense, but select a lapbook geared towards your child’s age and ability level. For example, don’t choose a lapbook with lots of internet research for your second grader, or a fill-in-the-blank project for your eighth grader. If you are looking to p urchase a pre-designed lapbook kit and simply can’t find anything that will work, be prepared to adapt it to your child’s needs. The right amount of material to fit your schedule. Don’t try to rush it! 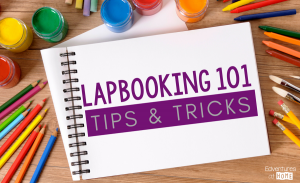 A rushed lapbook doesn’t make for a pleasant or effective learning experience. Try to find enough material to give your students a complete understanding of a topic, but avoid excess. Engaging colors, shapes, fonts, etc. Lapbooks should be attractive and appealing to young learners. The brighter and more visually appealing a lapbook is, the more likely children will be to review a lapbook over and over. You may wish to do some research into color and shape psychology if you have time, but at the very least, make sure your lapbooks are engaging and inviting. Have you noticed any other qualities of great lapbooks? Join the conversation and share them in the comments! 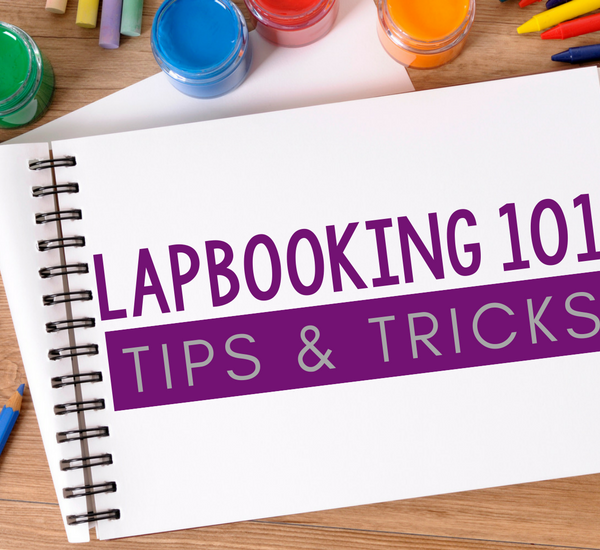 Or, share your lapbook photos on Facebook and Instagram with #Lapbooking101 and tag me @edventuresathome.